The Chocolate Chip Cookie is iconic. 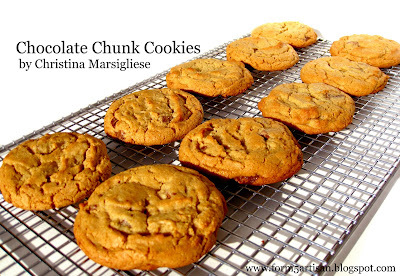 Really, any cookie with chocolate chips can be called a chocolate chip cookie, but it would never live up to it's name since it is ultimately associated with a buttery brown sugar dough. 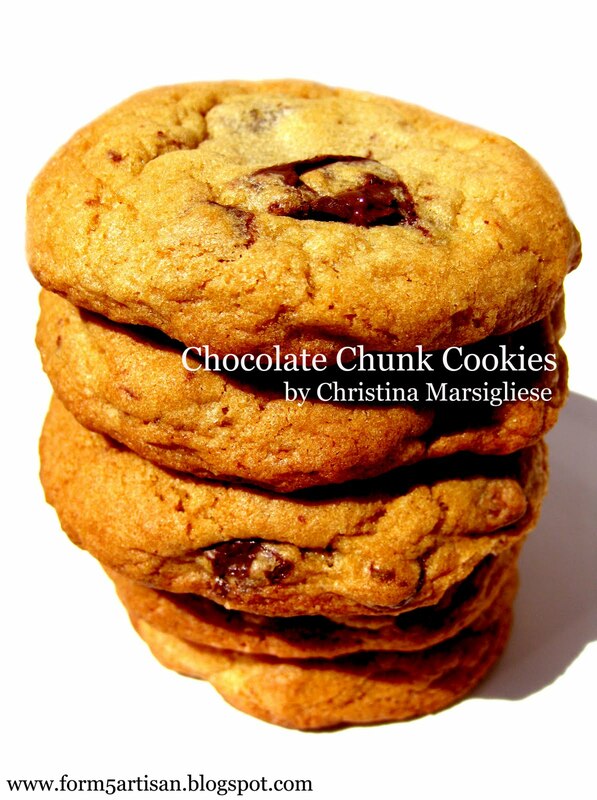 Do not trust a Chocolate Chip Cookie recipe that uses baking powder. As a matter of fact, never trust a Chocolate Chip Cookie recipe that uses more than 1/2 teaspoon of baking soda for a yield of 2 dozen cookies. Baking powder will guarantee leavening in a cookie batter. It is a mixture of acidic (monocalcium phosphate & sodium acid pyrophosphate) and alkaline (sodium bicarbonate) chemical leavening compounds and corn starch. These compounds react during baking to produce carbon dioxide gas, adding softness, tenderness and lightness to baked goods. Baking powder need only be used when there are no other acidic ingredients in a recipe that can serve to neutralize/react with baking soda (pure sodium bicarbonate). For example, chocolate chip cookie dough is made with a generous amount of brown sugar (preferably dark brown sugar), which is naturally acidic. So, a touch of baking soda adds enough alkaline material to neutralize the acidity of the brown sugar and provide just the right amount of leavening needed to produce a marvelous cookie. What happens if there is too much baking soda? 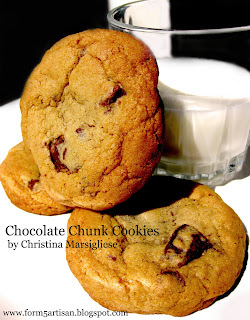 Too much baking soda can result in a bad Chocolate Chip Cookie for several reasons. Firstly, it can carry the carbon dioxide-producing reaction too far, depending on the recipe, and create too many gas bubbles that produce a cake-like cookie. Secondly, if more baking soda is added than what is actually required to carry the reaction to completion (i.e. to use up all of the acidic components in the dough), then residual sodium bicarbonate left in the cookie will leave a bad aftertaste. So, if you ever meet a Chocolate Chip Cookie with baking powder, you have the right to believe that it is an impostor. A little leavening goes a long way in this classic treat and careful evaluation of the recipe should be performed before succumbing to an impromptu baking frenzy. 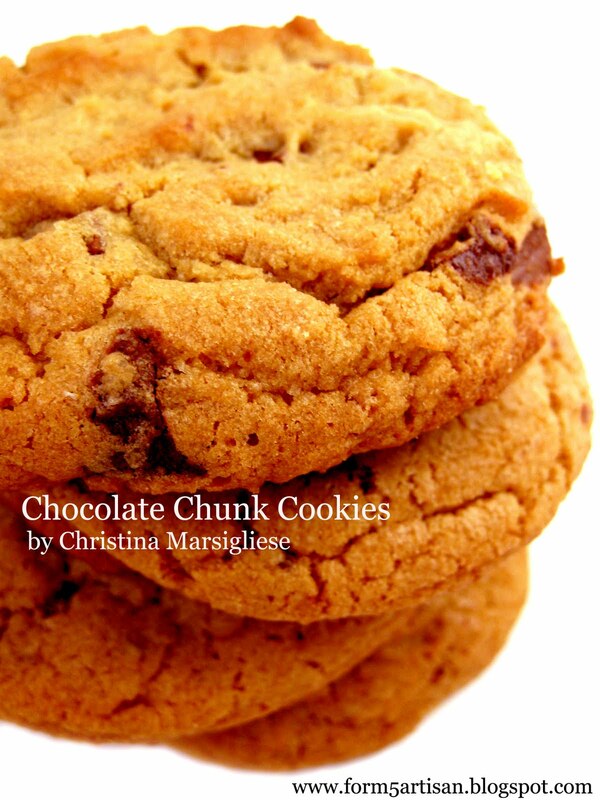 Just came across your site and was so excited- I'm fascinated by the science behind baking. Why do some cookie recipes call for baking powder and baking soda? A combination is used just to get the right balance of acidity/alkalinity in the dough or to control browning. Sometimes there is not enough acidity in the recipe to react completely with baking soda, so baking powder is used as well. But, sometimes people also use baking powder in their recipes just for insurance, even though it is not necessary. You can find plenty of detail in there around how to create flat or thick chocolate chip cookies by manipulating the acid/base ratio. Cheers!